The original Raspberry Pi 40 Pin (T-Shaped) breakout board designed by CanaKit. 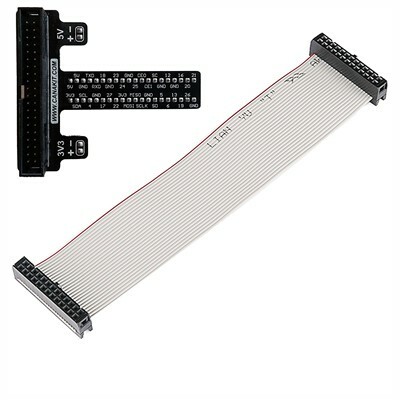 Use this breakout board and ribbon cable to use the GPIO connection of the Raspberry Pi to start creating fun electronic projects with your Raspberry Pi! The board is fully assembled and therefore soldering is not required.